Alan Page was appointed Professor of Public Law in 1985. He was previously a senior lecturer in the Department of Public Law (1981-85), and a lecturer at the Universities of Wales Cardiff (1975-80) and Westminster (1974-75). He was Deputy Principal, Research Governance (2011-2015) and Dean of the School of Law (2006-15), having previously been Head of the Department of Law (2004-2006 and 1985-95), Dean of the Faculty of Law (1986-89) and Head of the Department of Public Law (1981-86). 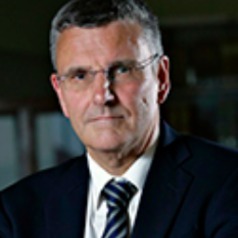 He has acted as a specialist adviser - to the Scottish Parliament's Scotland Bill Committee (2010-11), European and External Relations Committee, (2005-07) and Subordinate Legislation Committee (2004-06), the House of Lords and House of Commons Joint Committee on Financial Services and Markets (1998-99), and the House of Commons Select Committee on Scottish Affairs (1993-97); to the London Stock Exchange (1992-93) where he was responsible for rewriting the rules of the Exchange; and to the European Union, the Organization for Security and Cooperation in Europe’s Office for Democratic Institutions and Human Rights , and the United Nations in respect of many of the 'transition' countries of central and eastern Europe and the former Soviet Union. He was a member of the Tax Law Review Committee (1994-2004) and the Scottish Law Commission's Advisory Group on the Law of the Foreshore and Seabed (2000-03); and the Scottish Higher Education Funding Council's Lead Assessor in Law (1995-96). He is an Honorary Fellow of the Society of Advanced Legal Studies.